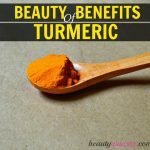 Turmeric for Psoriasis | A Natural Breakthrough for Healing - beautymunsta - free natural beauty hacks and more! 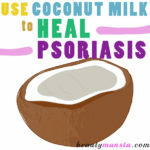 An ancient herbal remedy provides breakthrough facts that support healing for psoriasis. 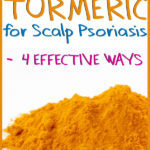 Find out the effects, benefits and usage instructions on turmeric for psoriasis. Psoriasis is a debilitating autoimmune disorder that manifests in the form of large, scaly patches on the skin that may be itchy, swollen and red. It mainly appears on the limbs and scalp, but can be found anywhere on the body and affects both men and women equally. Although scientists are able to explain the process of how psoriasis occurs, the causes are yet to be pinpointed. Simply speaking, in psoriasis, the immune system mistakenly attacks the body’s own skin cells and causes the production of skin cells to go into overdrive. Where normal skin cells take an average of 28 days to regenerate, in psoriasis, skin cells regenerate at an alarmingly fast rate of 3 – 4 days. While there are many prescription drugs available for psoriasis, no cure has been found as of date. Many are also turning to natural remedies for a solution in order to avoid the toxic effects of artificial chemicals found in conventional drugs. Turmeric (also known as curcumin) is a powerful ancient herb that has been used to treat skin-related disorders like psoriasis for centuries. 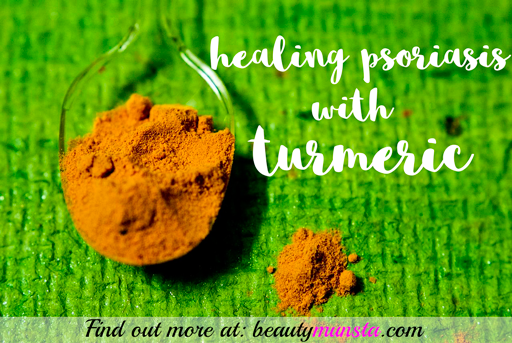 Recently the effects of turmeric have been extensively studied and have found to be helpful in reducing and managing psoriasis. It was found that turmeric was highly helpful in reducing psoriasis, and an extract containing all four of the herbs was found to be most effective in reducing psoriasis. Unlike steroid creams come with unwanted side effects, why not use turmeric, which has been proven to have the same effects? This shows that psoriasis patients can take turmeric supplementation, in addition to their medical treatment, to benefit from faster improvement. 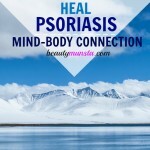 Psoriasis is an autoimmune disease where the immune system is not functioning in order. Turmeric can help modulate the activities of the immune system, control erroneous impulses and enable it to perform efficiently. By helping to balance the activities of the immune system, turmeric works like a natural immuno-suppressant drug, without any side effects. Turmeric is a rich source of antioxidant compounds, the most notable of which is curcumin, which gives the herb its bright yellow color. 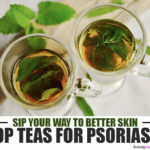 It is a known fact that those suffering from chronic diseases such as psoriasis are deficient in antioxidants and this creates extra oxidative stress and destruction of healthy cells by rogue free radicals. The antioxidant supply from turmeric can help reduce free radical damage in psoriasis patients, promoting healthier skin function. Turmeric is rich in antibacterial, anti-fungal, antimicrobial, antiseptic and disinfectant properties, which have been studied to be more effective that some conventional drugs. For psoriasis sufferers, whose skin is more prone to contamination of harmful bacteria that can worsen the disease, the regular use of turmeric both orally and topically can help ward off and reduce the chance of infection. Researchers agree that an accumulation of excess toxins can be a contributing factor in psoriasis, therefore detoxification can be a useful tool to reduce psoriasis and avoid frequent flare-ups. Turmeric can help the body to gently cleanse and detox itself by providing support to the liver, which is the main toxin filtering organ in our bodies. One of the best features of turmeric is that it contains potent anti-inflammatory agents, which make it a safe yet effective herb in treating a variety of inflammation diseases like arthritis, Crohn’s disease, IBS and skin conditions like eczema, rosacea and psoriasis. Turmeric inhibits pro-inflammatory proteins and their pathways and thereby reduces swelling and inflammation in psoriasis. Turmeric can easily be applied topically with virtually no side-effects. The simplest way to apply turmeric is by making a thick paste by mixing it with water, a flower hydrosol, or grass-fed organic milk. Apply this paste all over the affected areas and allow it to work on your skin for at least 15 minutes. Then wash off with lukewarm water and pat dry. You can perk up your topical turmeric paste by adding some soothing essential oils such as chamomile, frankincense and lavender to get added benefits. Be sure to use patch tests first when using essential oils on your skin. Turmeric has a mostly flat and astringent taste and can easily be added to soups, smoothies and dips. 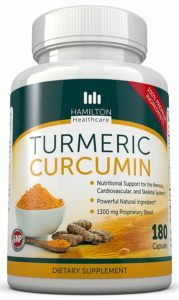 You can also make your own DIY turmeric capsules by filling large size 00 vegetable capsules with up to 5 grams of turmeric powder.